Camp by the river each night and enjoy delicious meals while listening to river legends and lore around the campfire told by our world-class river guides—the best in the business! Ready for one of the greatest river journeys on earth? Born among the chiseled snow-clad mountains of the Yukon, the Tatshenshini River flows with a casual grace past fields of wildflowers and sweeping glaciers on its relentless path to the sea. This is a remote natural highway through the habitat of grizzly and black bear, mountain goat and moose, bald eagle and osprey, and the pure ruggedness of the country has kept it wild and free of the imprint of modern man. The awesome Ice Age scenery will take your breath away, but keep on breathing ‘cause it gets better every day. 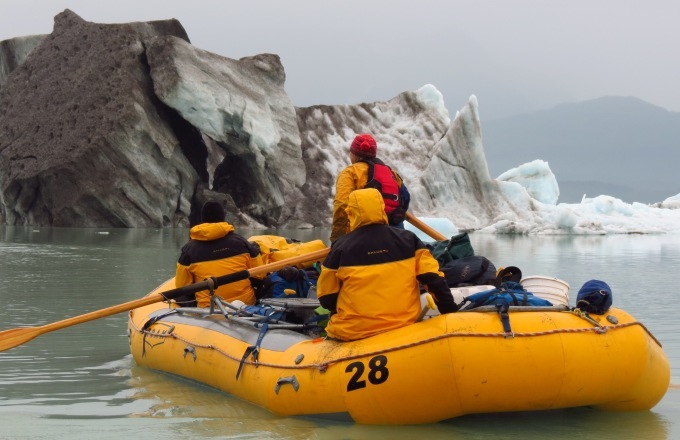 Join the original Alaska Discovery company for an epic journey: easy rapids navigated by expert guides and day hikes to feast your eyes on the expansive views reveal a land that sharpens the senses and gratifies the human soul. No reviews yet for this trip. Browse other reviews below for MT Sobek (Mountain Travel Sobek). I booked a trip to Tanzania as a last hurrah before getting pregnant and it was totally the trip of a lifetime I was hoping for. In the Spring of 2015, I was fortunate enough to go on the Hikers Patagonia trip through Mountain Travel Sobek. I honestly didn't know anything about this region, which is why I felt like I was in really good hands traveling with MTS. Traveling to an unknown region can be stressful (as I have experienced before), but MTS made it fun and easy! They took care of all of the paperwork in advance and even prep you on all of the gear/clothing you will need on your trip. All of the food, lodging and hiking is planned for your day, so the only think you have to do is enjoy your trip! Not only were the hikes beautiful, but the guides were extremely nice and very knowledgable. I must say, after taking this trip, I've learned that there is nothing better than going on a stunning hike and ending the day with some good food, good wine and good company. I definitely plan on traveling with MTS again! Returned earlier this week from a trip to the Dalmatian Coast, Croatia with Mountain Travel Sobek. The unique and special attention to detail provided by our guide, Irena, on this trip was unparalleled. We were asked a few questions about food preferences and activities before the trip and it was clear throughout that every single meal and activity was planned in order to make the trip wonderful. It was one of the best trips we have ever taken as a family thanks to that thoughtful preparation. The hotels were chosen specifically for a variety of atmospheres and comfort. We travelled to several islands and locations on the mainland. Each location was very different from the last, providing both a sense of adventure and variety. The food... where to begin, it was amazing; we had several lunches at long tables under olive trees, one at an artists home, a friend of the guide, one at an island ranch, and another at an old converted home. We tried the local liquors and ate local truffles, peppers, olives, etc, from the garden. There were no other tourists at any of the locations, the meals had been set up and specifically ordered prior, by Irena - several times we were the only ones there. On several evenings, we took a boat taxi to another island for fresh seafood at a restaurant on the beach, lit by paper lanterns. We saw one of the kitchen staff go down to the dock to pull mussels and oysters out of a net tied to the dock. I can't describe the beauty of those nights. In addition, we sea-kayaked on a couple of days to pre-arranged spots where Irena prepared a picnic lunch using fresh vegetables, breads, meats, and cheeses. We kayaked past beautiful coastal villages to deserted beaches. The water I can only describe as paradise, not to cold, not too warm, clean, clear, unbelievably inviting - as were the rocky and white pebble beaches. Irena was intelligent and extremely knowledgeable about the region, it's history and politics. Another guide, Anna, joined us for the first few days and we were sorry to see her go - she was also extremely good company, smart, worldly, and knowledgeable. Travelling with Irena and Anna was as relaxed as travelling with old friends. They took care of the details seamlessly and also knew when to give us some space to enjoy our family trip. They were friendly with our teenage boys and talked to them like adults. This tour provided the perfect balance of culture, food, and activity. There is so much more I could say, this was truly a wonderful time that none of us will ever forget. Thank you MTSobek. I had an amazing trip with MTSobek! I went hiking through the historic villages of Portugal with some of the most knowledgeable and entertaining guides, Artur & Carla. Our group received the utmost attention from our guides as we trekked through a variety of landscapes. The local Portuguese would stop and tell our group some interesting information of the area. The cuisine was exquisite as well as some of the lodging provided. It was a very memorable trip and I would encourage anyone to make their plans to visit Portugal. Well, since I just left my review for A&K I figured it would only be fair to do so also for MT Sobek. While A&K may dominate the very top tier of Luxury adventure travel, MT Sobek is also right up there at the top. I've travelled with them twice now and have found their guides, accommodations, general knowledge of each place to be top notch. I like MT Sobek a little bit more than A&K because MTS does seem to appeal to a slightly younger more adventurous clientele - where as A&K might be great for a honeymoon or with your parents, MTS feels better if you're NOT your parents. I have done many trips with Mountain Travel Sobek in the past, most of the trips were with my dad, and a few of them with my girlfriend. The service of this company is outstanding, and the experience of each trip, is unforgettable!!!. The company itself, is truly superb!!!!. Arrive in Haines, Alaska by 3:30pm to have enogh time to check in and clean up for your 5:00pm pre-trip meeting at the Halsingland Hotel. We have reserved rooms for our group at the Halsingland Hotel. Just mention you are part of Alaska Discovery group. This room is included on the price of your trip. 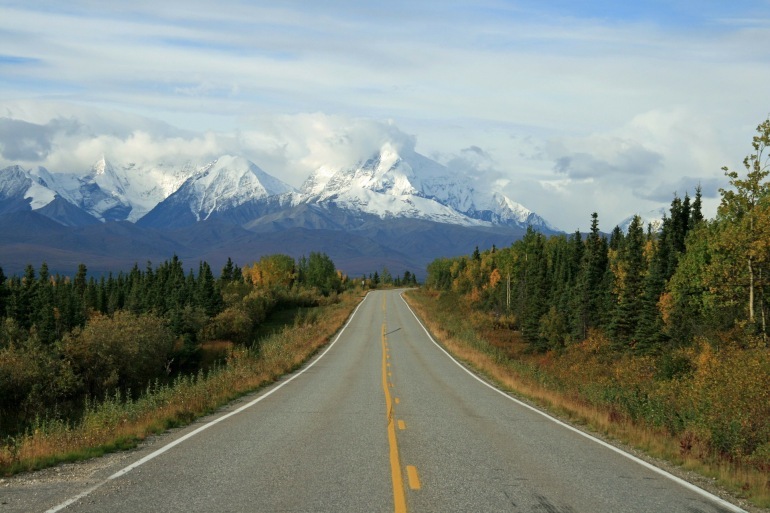 After breakfast on your own, meet at the Halsingland Hotel lobby at 8:00 a.m. and board a van for a beautiful 3-hour drive (104 miles) up the Chilkat River Valley, across the border into British Columbia, and on to Dalton Post in Yukon Territory, Canada. After we rig our bags into the rafts, we’ll push off on the Tatshenshini. Soon, we’ll plunge into the exhilarating Class III rapids of the Tatshenshini Gorge. Upon emerging into calmer waters, we’ll make camp along the river. The river slowly builds momentum over the next three days as we wind our way toward the beautiful Alsek and Noisey Mountain Ranges. There are a few good short hikes to take in this area. This is prime country for moose, bear and wolf; the beaches are often marked with the tracks of all three, and occasionally we catch views of the animals themselves. The mountains, river and wildlife become more spectacular as the swift flowing river brings us ever closer to Alsek Bay. We come to the majestic confluence with the Alsek River, a place many call “the center of the universe.” Our campsite vista will span the broad expanse of both river valleys, flanked by more then 20 different glaciers. After floating into the flat, forested plains beyond Alsek Bay, we arrive at the Dry Bay Fishing Company outpost along the estuary of the Alsek River. (Dry Bay is named for the mud flats in low tide, certainly not for the weather patterns here.) Small aircraft will meet us for our spectacular charter flight to Yakutat in time for the scheduled Alas­kan Airlines service to Juneau (we have tailored this trip around this flight, and Juneau is your gateway city to other destinations). Most guests choose to return to Juneau this night and often get together for a no-host dinner at a local restaurant. We recommend you stay in Juneau this evening as some flights homeward necessitate a forced overnight in Seattle before connecting with onward-bound flights. We’ll provide you with a list of hotels in the pre-departure information booklet.